An incident involving an off-duty fireman has gone viral, as the situation has left more than a few people with questions that, quite frankly, need answers. According to his report he was driving along when he spotted a man driving somewhat recklessly on the road, so he decided to follow him and eventually film him. He claims the man didn’t like being followed, which leads us to the time when the video begins. 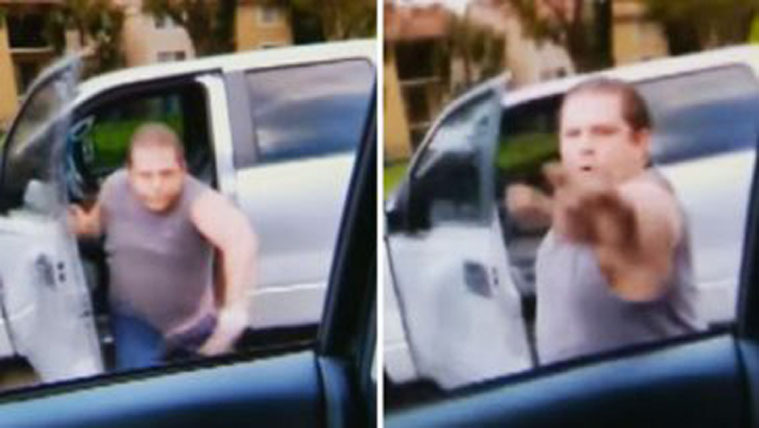 The reckless driver charges out of his vehicle and literally dives into the firefighter’s car through the open window. What happens next becomes a blur as the fireman claims he was being beaten and eventually just drove off, leaving the other man behind. What seems like a fairly standard report has left many questions, even more so since the police have yet to release an official cause of death. His family would like to know why the fireman had his window down in the first place among a few other things, but a very important one is asking why the fireman hadn’t stopped to provide first aid.